If you haven’t already done so, it’s time to start thinking about which summer music festivals you and your friends will be hitting up. Here’s some top ideas including some new ones you may not have heard of yet. Kitchener. Yes. Out of nowhere Kitchener has a new music festival called Ever After and the headliners are actually huge. Huge enough to make it worth your while. There’s Diplo, Waka Flocka, Zeds Dead, Benny Benassi and more. Pretty good, right? It’s coming up quick on May 30th and 31st. This multi-city EDM tour lands in Toronto on May 30th at Echo Beach. Headliners include Eric Prydz and Dillon Francis. Taking place on June 27-28th, top EDM entertainers come together for the 4th edition of the Bud Light Digital Dreams Festival. This year’s entertainers include Zedd, Armin van Burren, Martin Garrix, Steve Angello, Mark Oliver, Arty, Adventure Club and much more. 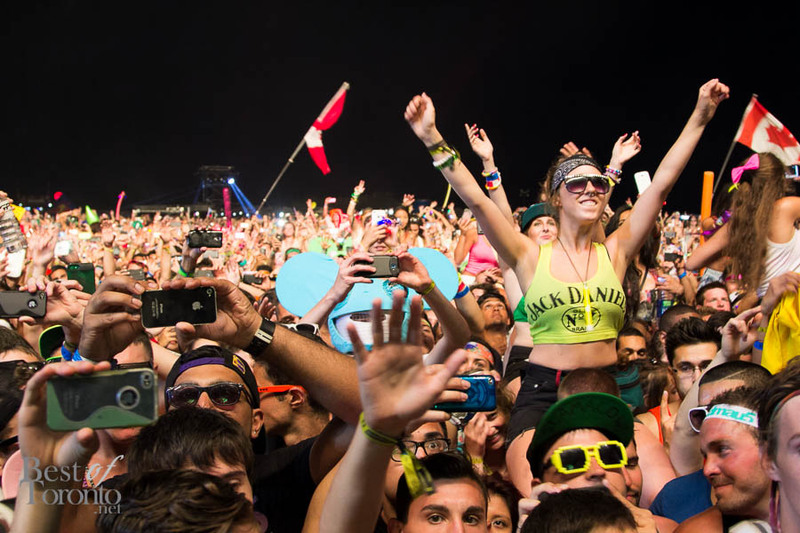 Check out our coverage of Digital Dreams 2014 and Digital Dreams 2013. All the festival goers come out for this one. People often ask what’s better, Digital Dreams or VELD because they’re in the same genre. I say, they’re both good and they don’t conflict so why not go to both. Headliners include Deafmau5, Hardwell, and so much more. Check out our coverage from VELD 2014 and VELD 2013. This takes place in Burlington and it’s not too shabby if you like Weezer, Our Lady Peace and Finger Eleven. Bands that I definitely grew up with. There’s even some free concerts in the mix so check it out. One day only: June 13th 3-11pm. Music festivals don’t have to be expensive or far away from downtown Toronto to be good. There’s plenty of accessible music festival programming taking place during the Luminato Festival festivities at David Pecaut Square. This one is too big to ignore – October’s Very Own Drake gets big names to show up every year. And now it’s been expanded from a two-day festival to a three-day festival. Headliners accompanying Drake this year include Kevin Hart, J. Cole, and Big Sean. Not really a summer festival but it’s also too big to ignore. The biggest draw to this year’s Riot Fest will be the reunion of Alexisonfire! The rest of the lineup is still pending but it all goes down over 2 days on Sept 19-20th. Stay tuned! Saturday June 6th and Sunday June 7th with Alabama Shakes and more. Be there or be square. The Edgefest Summer Concert series takes place 3 sets of dates: July 23, 29, August 15th at Echo Beach. 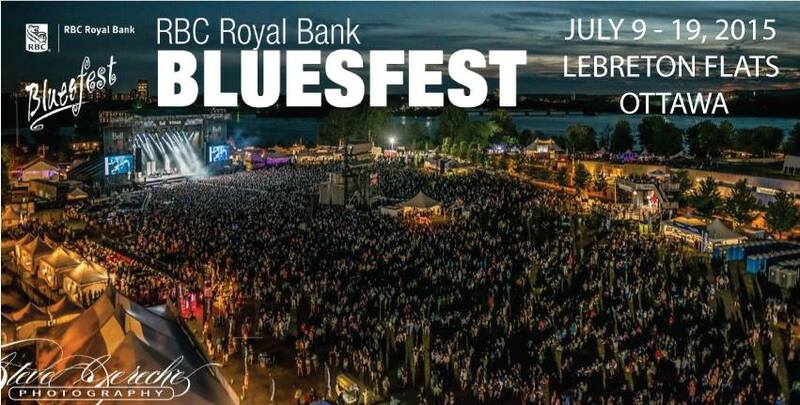 Ottawa should be coming up on your radar in July 8-19th because this Bluesfest is looking like more than just a blues music festival. Household names, Kanye West and Nas, will be just some one of the many biggest attractions there. Also, Tragically Hip, Scott Weiland & The Wildabouts, Marianas Trench, and more. Check out the HUGE entire lineup here. The very first Bestival outside of the UK comes to Toronto. Florence + the Machine and Nas are among the top headliners, plus Flume, Caribou, SBTRKT. Out of nowhere comes this festival. Yes, it is all the way out Oro-Medonte near Barrie, but it’s definitely worth the trip – be prepared to go camping or glamping. This is a summer music festival everyone is talking about with big names like Sam Smith, Kendrick Lamar, Alt+J, Hozier, and more. Don’t miss out on this one on July 24-26th, 2015. Check out our preview of the Burl’s Creek event grounds where Wayhome will be taking place. Taking place on Saturday May 23rd at Echo Beach, headliners include Strumbellas, the new CBC Radio talk show host Shad, and even Fred Penner. Tickets are only $39.50 and kids under 12 are free. If you actually know Toronto then you know NXNE. As usual it takes place at various venues June 17-21, 2015. A week’s worth of great Canadian music including JUNO award winners and nominees including Kiesza, Lights, MAGIC!, Trevor Guthrie, and more. Every summer holiday you can be sure the Toronto Island gets electric. This includes Victoria Day, Canada Day, Civic Holiday and Labour Day. Bordering on not-really-a-summer music festival, it’s still worth knowing about, right? It’s a long music festival at the Fort York Garrison on Sept 16-21. Lots of bands announced and more to come as well.